51. A stone from Castle Hill. Not just any old stone! 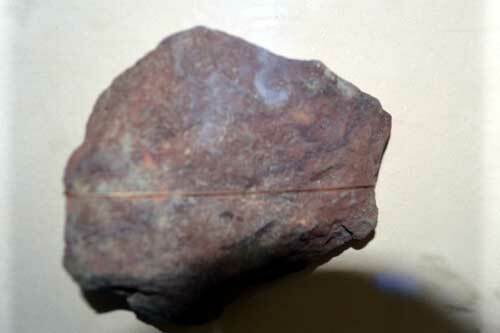 This stone is reddened by fire and it is from stones like this found on Castle Hill that we can learn some of the history of the site. It is thought that Castle Hill was occupied and fortified in very early times. However this all came to an end when the developments were destroyed by fire sometime in the fifth century BC, long before any Romans came to Briton. It is thought that after this fire the Hill was not occupied again until medieval times. Tolson Museum. 53. 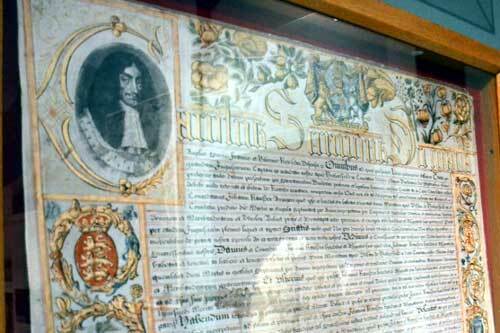 Huddersfield Market Charter 1671. 54. 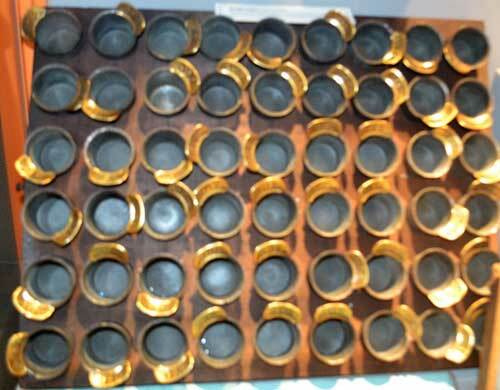 Knurr, Spell & Pommel Game. 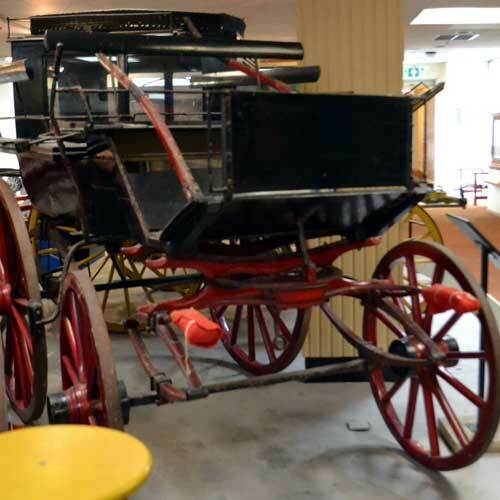 The waggonette was a versatile vehicle which could carry a variety of loads. Pulled by horses, it could carry passengers or the seats could be removed and it would become a delivery van. 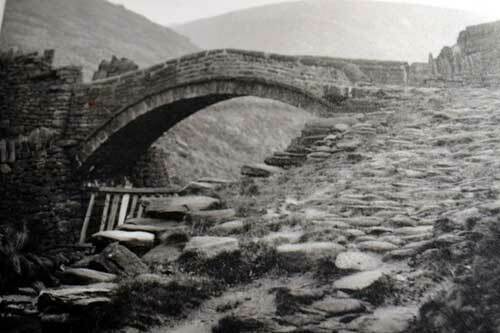 A picture of the Pack Horse Bridge on the Marsden to Rochdale Road. This was called the Close Gate Bridge or the Eastergate Bridge. Ester Schofield was the landlady of the Packhorse Inn which was nearby in the 19th Century. A typical packhorse bridge has low walls or parapets so that the packs that the horses carried would not catch on the sides. Picture in Transport Gallery, Tolson Museum. This ‘Ordinary’ was a bicycle in use in the 1880’s. it was also called the penny-farthing. It was the first machine to be called a bicycle. 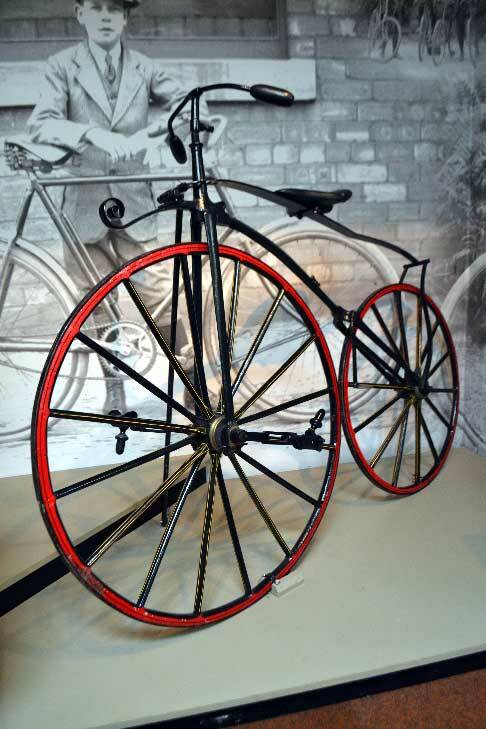 The large front wheel gave the bicycle greater speed. It was these bicycles that created the interest in bicycles that made them into a sport. This particular one was owned and ridden by Mr Denham of Darlington. He was an enthusiastic cyclist who won a silver cup for endurance for cycling for 8 hours without a stop. Transport Gallery in Tolson museum. 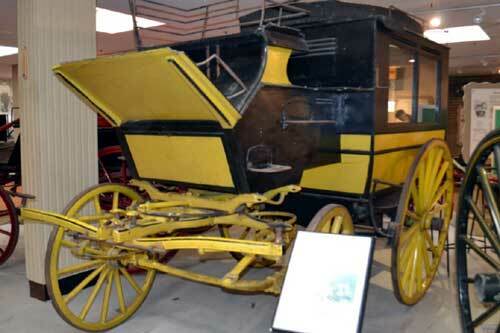 This was used to carry 6 passengers inside with three or four on top plus luggage. They were used from 1870’s – 1910. This one was built by Rippon Bros of Huddersfield. Transport Gallery Tolson museum. An example of the cloth that won a medal at the Great Exhibition of 1851. Fancy cloth was fabric that was woven from wool and other fibres such as silk or cotton. 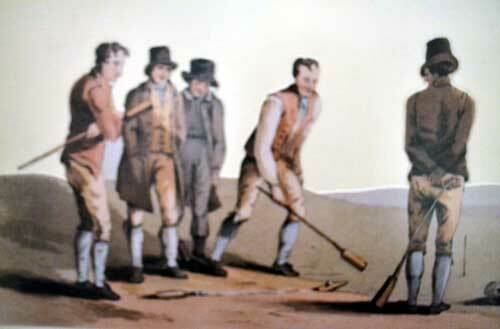 Joseph Etchells, who settled in Almondbury, was famous for his designs of figured silk and woollen fabric. 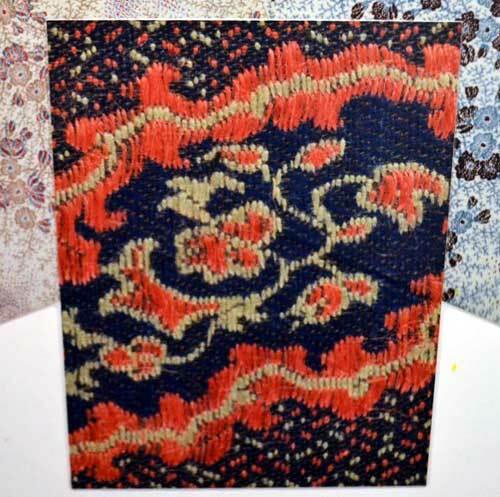 Material such a this was used for waistcoatings, dress materials, shawls, table covers and all kinds of soft furnishings. 60. 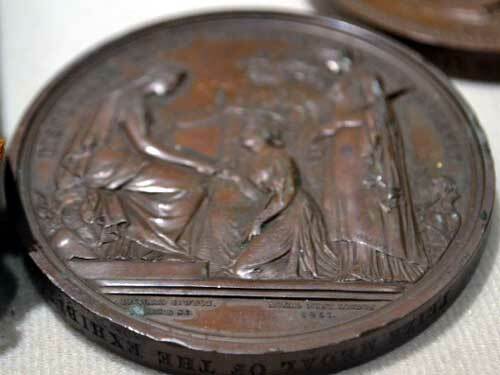 Great Exhibition Medal 1861.